Special series kukris are kukris that are very unique, hard to make or very hard to find the material used. 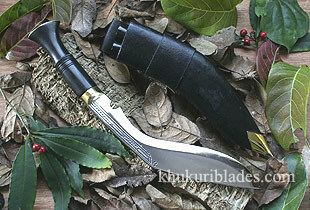 Some blades are very hard to craft taking days and days and some scabbards and handles are very rare to find. Like horn scabbard of a water buffalo that is very white or colorful making it transparent in light, or handles made of antler horn which are very rare and sometimes ivory handle which are almost impossible to find. They cost a little more but great for your collection. Ganjawala, a unique Kukri, the only one with more tools than any other kukri and with colorful scabbard. Dhankute Specials with beautiful colorful horn scabbard and with antler horn; a prize collection.